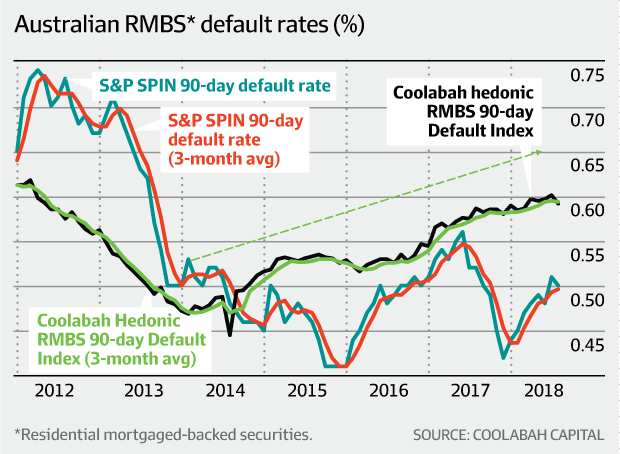 This is already happening: our latest estimates of default rates on home loan portfolios are trending higher as lenders lift rates "out of cycle". 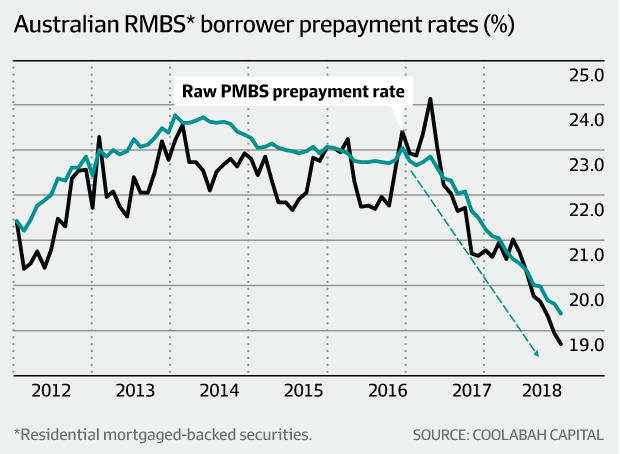 Concurrently, we're seeing a sharp decline in borrower pre-payments as costs ratchet up. Combined with falling house prices and rising loan-to-property value ratios, the risks associated with investing in residential mortgage-backed securities (RMBS) are climbing fast. It's ironic that the commission's greatest impact could be to increase consumers' financial costs while narrowing the choices available to them. Another irony is the fact that the driving motivation for establishing the commission – claims that CBA forced droves of BankWest borrowers into default (debunked by this column in 2015) – has been emphatically ruled out, humiliating the vested interests who peddled this thesis. The most stunning defect in the interim report is the commission's inexplicably one-eyed, or "activist", interpretation of Labor's paternalistic "responsible lending" laws. While these laws have not been clarified by the courts, and are regarded by lawyers as nebulous in their interpretation, the commission projects the impression they are devoid of doubt. According to the commission executives who penned the "responsible lending" chapter (the even-handed Kenneth Hayne was clearly not the author), the responsible lending laws were a "critical legislative step towards fostering effective competition in the consumer lending market". That is misleading nonsense. The laws have nothing to do with fostering competition. What they do is make it much harder for consumers to get loans, and dramatically elevate the legal risks lenders face if their interpretation differs to the courts and/or the regulator. For smaller lenders without the scale of the big banks, the gargantuan spike in compliance costs induced by the commission (coupled with escalating funding costs as RMBS spreads widen) could force them out of business. Certainly, widespread credit rationing is one real-time consequence. Read the rest of my column here or AFR subs can click here.